Just scored a Squier JV Telecaster with a serial starting with a zero: JV0XXXX. 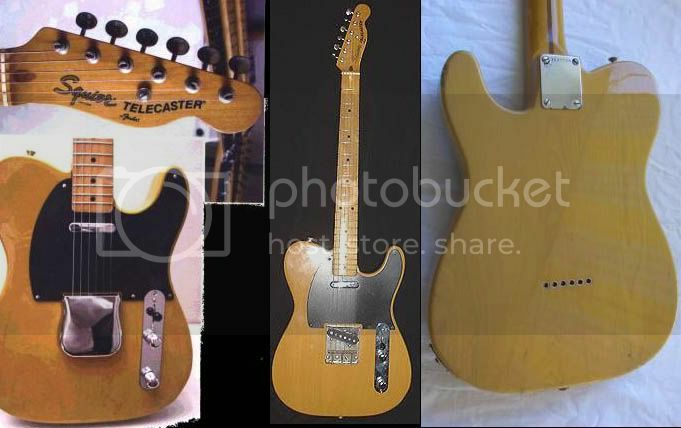 A 52 reissue in butterscotch and with an "ashtray bridge", that seems to be in almost mint condition (apart from the back of neck having had the varnish taken off and beeing oiled instead). The guitar seems to have been made in august -82, beeing among the earlier JV guitars. I know that the Fender JVs, made for the domestic market, are supposed to be of an even higher quality, but I suppose that also these guitars are really good? The varnish don?t seem to be that thick, but I?ll have to check it more closely. The fit of the neck pocket is surprisingly loose, but the body and neck wood must be of a high quality, because the tone is really great. I?m so happy that I found this one!